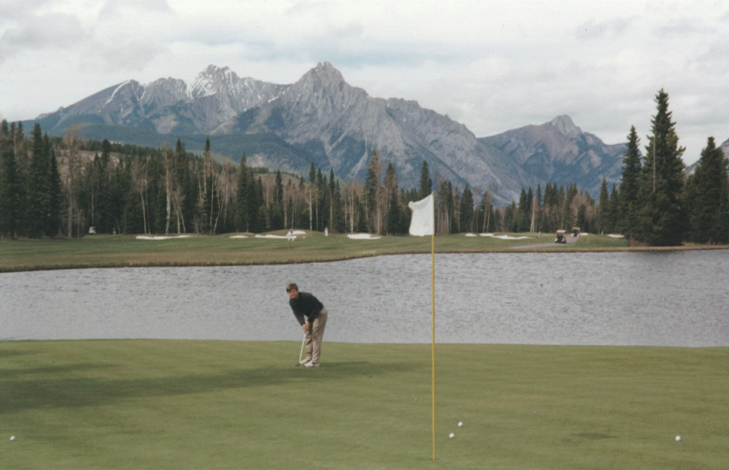 Kananaskis Hole 6: A par 3 with a large lake to the right, but with a huge green. The views are great, no matter what direction you look, but the golfer can face some long putts. Kananaskis Hole 14 (left): The hardest ranked hole on the back nine is a medium length par five with a lots of trees and creek running down the right side. It's only really in play for the layup / approach, so the golfer need not get too excited, but this hole will require good shots to avoid the multiple bunkers along the way as well.